I'm not a big smokey eye gal - I mean, I like them, don't get me wrong. I just ain't got time for that, I'm more of a winged liner and mascara gal, and that's on a good day. I much prefer a sweep of easy colour, and a load of eyeliner and mascara, and this new addition to my collection is an actual dreamboat. I know Lily Melrose has been using this for a long time, and I always loved it on her. I happened to be at a MAC counter a couple of months ago with some money to burn* and decided then and there that this had to be mine. 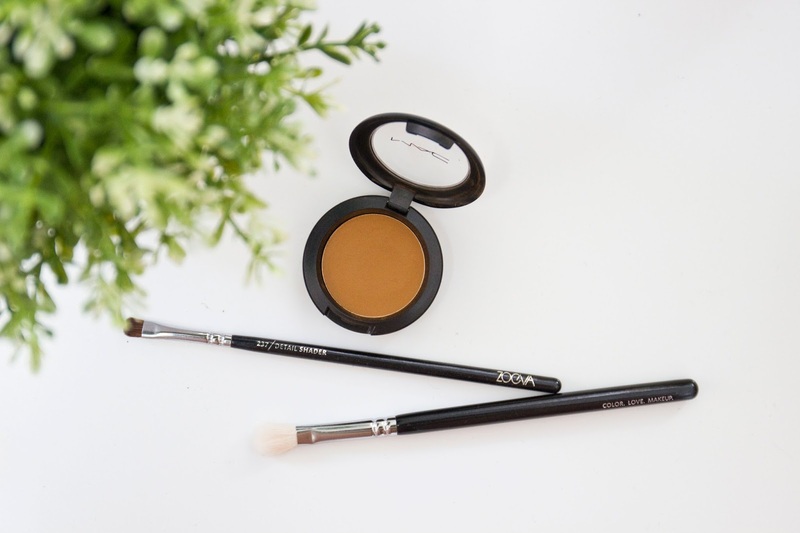 Lily wrote a post about her Heroin Chic eyes using this shadow, which is pretty accurate, and very 90's, and very cool. It compliments all eye colours, including brown, and just adds a nice amount of grungy depth underneath a bit of liner and loads of mascara. What do you guys think? Something you'd like to try? What's your 'go-to' one wash wonder? * Read: I just paid my credit card off. Did not have actual money. I wish.